As manufacturers of beautiful fabrics from their native India, the Paris based Nitya company was keen to develop fashion ranges and a retail concept aimed at the sophisticated modern woman. A complete brand personality has been developed resulting in an experience that exists somewhere between 'Turkey and Thailand' but nowhere specific. Every small detail has been created from the corporate identity with its watermark device to furniture and the considered use of space and light. 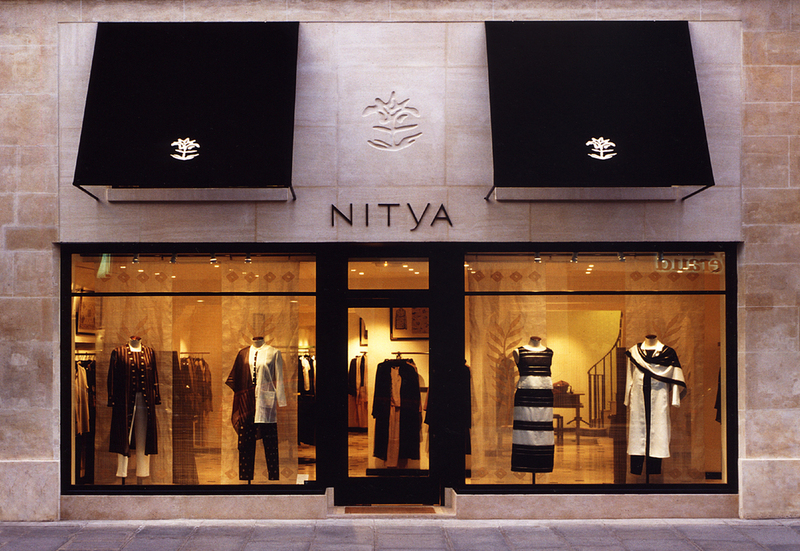 Nitya boutiques are being implemented throughout the world and flagships have been completed on Bond St. and Rue St. Honore. The stores have elegance, mystery and a calming dignity.